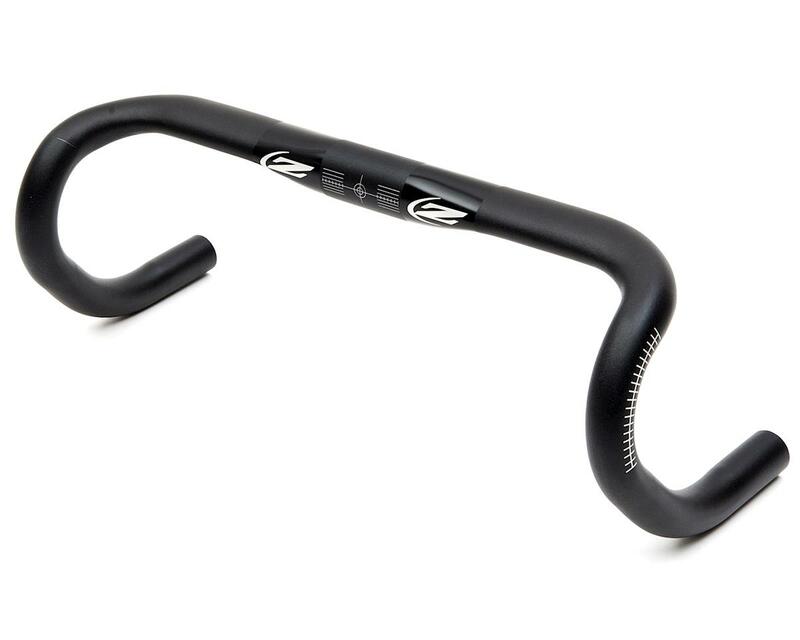 This is the Zipp Service Course SL-70 Ergo Handlebar. The Service Course SL-70 Ergo features the same compact reach and drop dimensions as the Service Course SL-70 but also has a contoured top section for a natural ergonomic grip on the bar tops for all-day comfort in a race-ready bar. The short reach to the hoods allows a proper fit without compromising stem length and steering control. With the revised ramp angle, proper fit is now achievable on even the most challenging setups. The SL-70 Ergo’s specially tuned drop shape creates comfortable hand positions with the short reach to control levels vital for race situations. The bar’s 70mm reach (the horizontal distance from the bar’s stem clamp area to center of the brake perch) is the shortest of Zipp’s Service Course lineup. 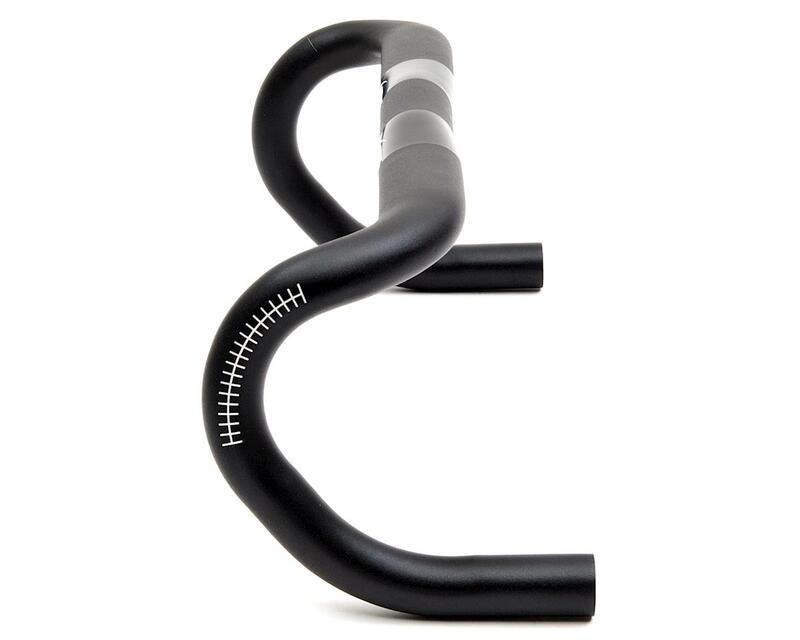 Its 128mm drop (vertical distance from bar’s stem clamp area to bottom of drops) help puts the rider low and in control without compromising comfort. 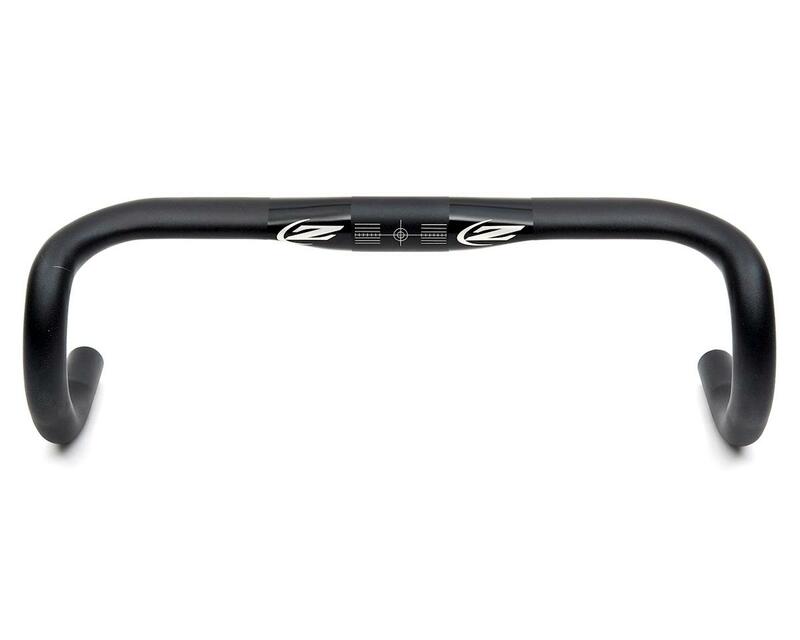 Whether it’s a rider with smaller hands or a bigger rider getting aero by pairing this bar with a long stem, this bar helps put just about any cyclists into his or her optimal position. Available in four sizes. Crafted from ultra-strong and lightweight 7050 aluminum. Available in High Polish Black with white logos or Beyond Black.